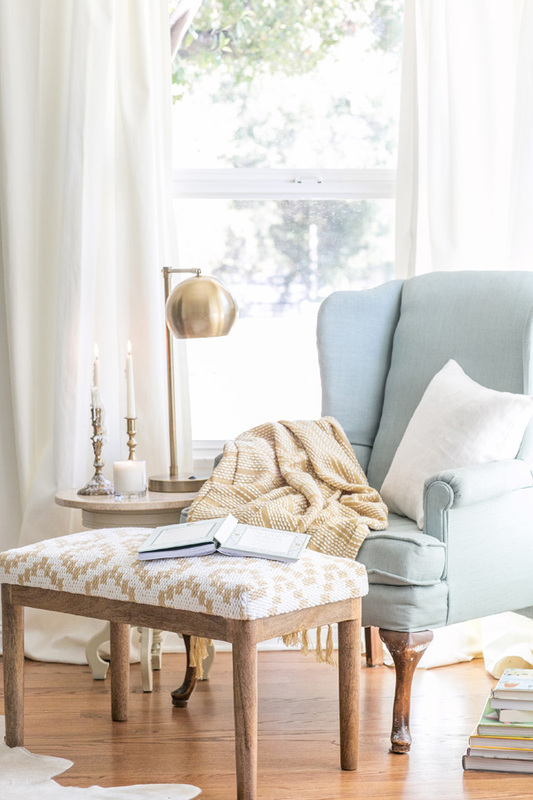 As the weather turns colder, I find myself dreaming about cozy reading nooks. Come take a look at the spaces that inspire me! Have you felt that deepening chill in the air yet? We’ve had a beautiful fall around here so far, but I know the cold weather is on its way. It always comes. After all, Halloween is this weekend, meaning we’re probably going to get snow very soon. It always seems to make its debut at the most inopportune time. Years ago, when we lived in the same small town as our family, we got a call from my brother-in-law the eve before Halloween. They were dropping their 4 daughters off at our place on the way to the hospital where they were going to have their 5th baby. Of course, it snowed late that night, and somehow we had to gather enough boots and mittens so the poor girls didn’t freeze while they were out trick or treating. I still remember the pink glitter and sparkly sequence that were left behind in my husband’s truck. He looked (and probably felt) so manly on his way to work the next day. The first of November is a time when my feelings of fall are replaced with those of winter. Maybe not on the calendar, but certainly in my mind and body. As each morning gets brisker, I find myself wanting to set the alarm a little later, and I definitely savour my cup of coffee a bit longer. During the day, my yard no longer calls me to come outside. The answer would be a resounding NO even if it tried. This time of year, I’d rather enjoy the warmth of the sun coming through the window. And in the evening or on a late Sunday afternoon when the snow gently falls, I prefer to be cozied up with a good book. That’s if I’m not curled up watching a movie with my family. I dream of the day when I have the space for my very own reading nook where I can escape from winter’s chill. You? Nothing too big, but enough room for some plump pillows and a fluffy blanket. Well, if I’m dreaming, perhaps a beautiful loft library space filled with all of my favourite books. It’s not asking for too much, is it? What do you find yourself dreaming about as the weather turns colder? A warm vacation? A new fireplace? Cozy reading nooks? I’d love to know! 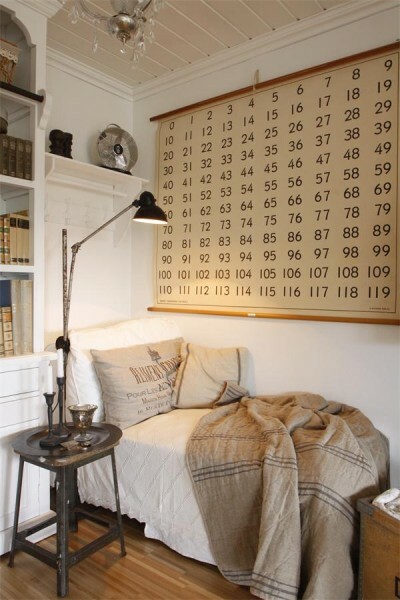 You can also check out more inspiring ideas on my Reading Nooks board on Pinterest. I’d take any one of those nooks Shauna, I could crawl in there and read ALL day (now I’m just dreaming…) Ah. Thanks for the lovely inspiration.